Considering working for extra spending money? If you would like to work after hours and weekend hours in a retail shop, sale and distribution products such as Mary Kay, Avon, CAbi, Juice Plus, jewelry, etc., teach at other institutions while teaching at the University, consult or participate in outside business ventures, check out the Non-Institutional Employment Practices policy. These are just a few examples of outside employment. Review the policy for a complete explanation of non-institutional (outside) employment and submit a form at the beginning of each fiscal year, July 1. In accordance with the Drug-Free Workplace Act of 1988, as amended, the University disseminates educational materials, protocols, and resources that have been established to maintain a drug-free workplace and workforce. The University of Mississippi Drug-Free Workplace and Workforce policy (HRO.FR.200.020), which serves as the annual notice, provides employees with information about the dangers of substance abuse, notification requirements for criminal drug statute convictions, disciplinary action when convictions occur, and details about the Drug-Free Awareness Program. Please take a moment to read the attached notice and let’s all be committed to ensuring the University is a safe and healthy work environment. what is necessary if a course is not successfully completed. We are here to serve. University employees have the responsibility to serve the University as they would serve any other efficient and progressive organization, and to give courteous service to students, faculty and visitors on campus. Learn more about the “Employee Responsibilities” policy. Related: Could a decision I make appear to benefit me personally? The Conflict of Interest policy provides guidelines for determining whether an employee has a conflict of interest in regard to a business transaction or relationship. The University of Mississippi’s goal is to ensure the safety of all university campuses, facilities, activities, and events so that students, employees (faculty and staff), and visitors can work, learn, and enjoy an environment free from violence and threats. The purpose of this newly established policy, Violence-Free Workplace, is to encourage all employees to report incidents of threats, aggression, and other prohibited behaviors and acts of any individual(s) on university properties to their immediate supervisor, University Police Department, and/or Human Resources. 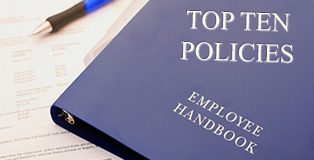 This policy lists prohibited conduct and outlines reporting responsibilities and procedures should a safety concern arise. These and all policies may be found at www.olemiss.edu/policies. For more information please contact the Andrea Jekabsons at 662-915-1530.